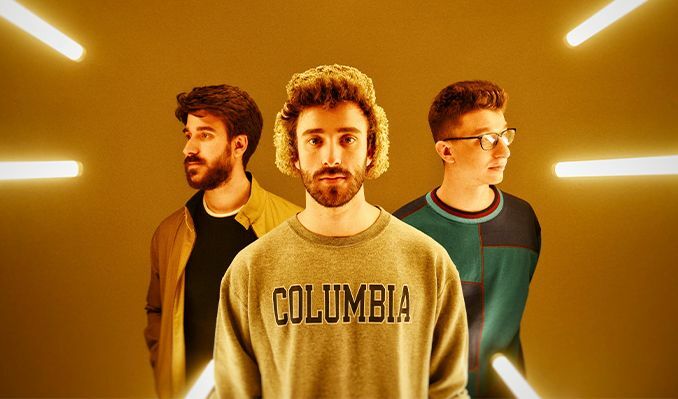 There is no band, no song, no video, no sound, that is more “now” than AJR. The band — three brothers born and raised in New York City — has achieved a startling quick level of success with “I’m Ready,” a buoyant electro-pop single that’s taking off on social media. The numbers: over 10 Million views on YouTube, Gold record in the USA and Double Platinum Internationally, features in Billboard, the NY Post, and on MTV. Festival performances in front of 10,000+ people. They have also performed on the Today Show, X-Factor, Kelly and Michael and many other national television shows. Each single or pair of tickets ordered online comes with (1) one CD copy of the new album Neotheater, due out April 26, 2019. Every 4 tickets ordered online comes with two (2) CD copies. You’ll receive instructions via email on how to redeem your album approximately 7 days after your ticket purchase. US residents only. Offer not valid on Resale tickets.